The Pampeano Sereno Polo Belt exudes a sense of summer and the tranquil Rio de la Plata in Argentina, through its precisely placed and vibrant saddlery threads that have been handwoven by artisans in Buenos Aires. 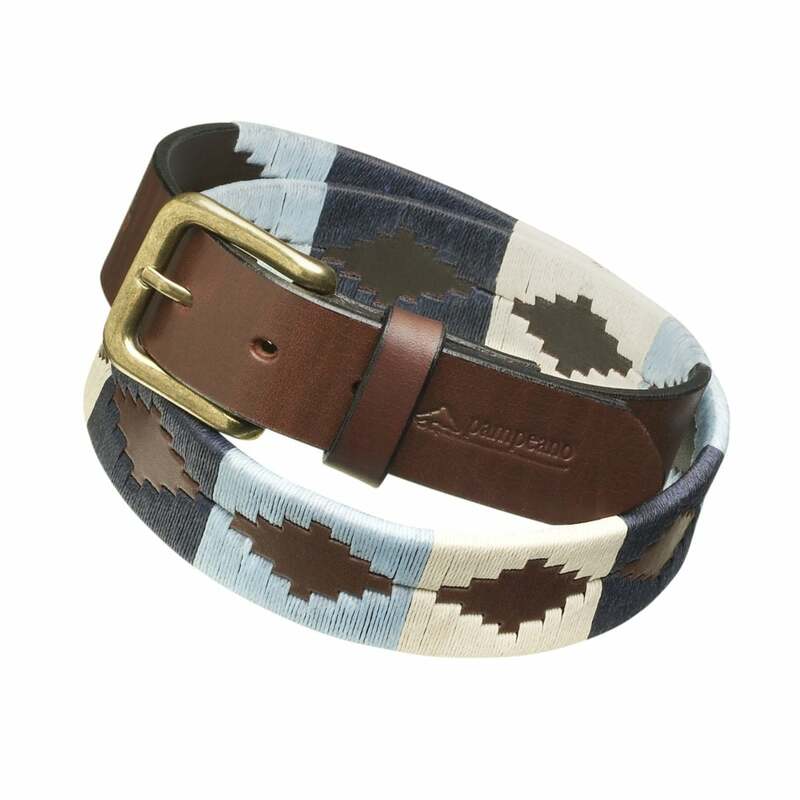 This beautiful belt has an updated colour palette of navy, baby blue and beige in a pampa pattern. Pampeano Polo Belts are made from soft, buttery Argentine leather finished off with a stunning antique brass coloured buckle. This belt is perfectly teamed with jeans, chinos, polo whites and denim cut-offs. For both men and women, the Sereno Polo Belt is the ideal accessory both on and off of the polo pitch and even for a spot of sailing along the Rio de la Plata itself.